Our RV Products page is to let new and experienced RV owners know about new and useful RV products designed to help make all of your RV experiences more enjoyable. The RV product category is full of articles and RV product videos that demonstrate product features and benefits, and how to install RV products on your RV. 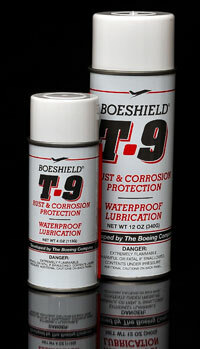 Developed by the Boeing Company for lubrication and protection of aircraft components, Boeshield T-9 is a combination of solvents, lubricants and waxes designed for penetration, moisture displacement, lubrication and corrosion protection. Dries to a thin waxy film that clings to metal for months. Loosens rusty and corroded parts. Safe on paint, plastic and vinyl. 12 oz. aerosol. The Original Equal-i-zer® Sway Control Hitch, with 4-Point Sway Control™, helps the driver be in control and the passengers be at ease. It has been specially designed to tackle the three biggest problems found with conventional trailer hitches: trailer sway, weight distribution, and complicated hook-ups.